Not a lot to say about this polish except that it is amazing. 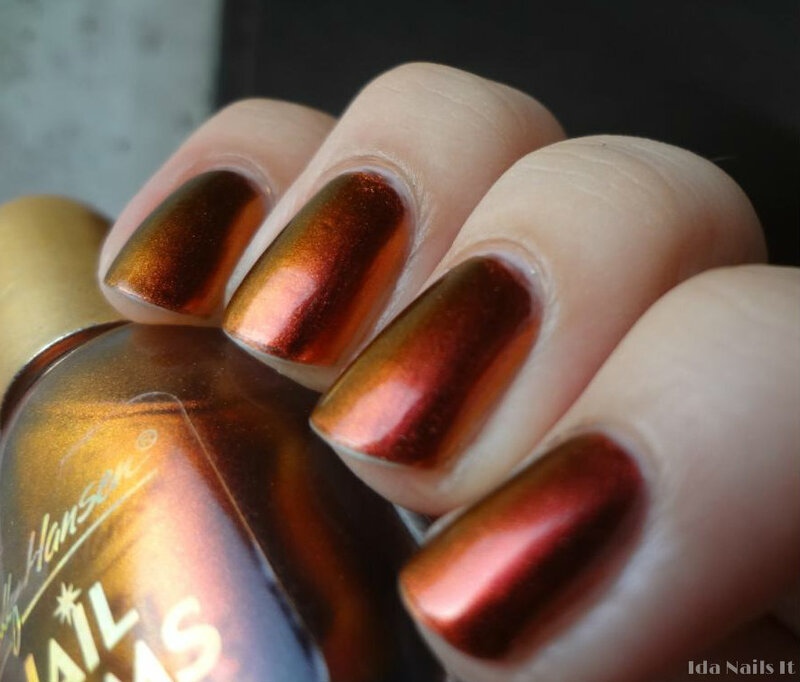 It's a multichrome that shifts from red, to orange, to gold. 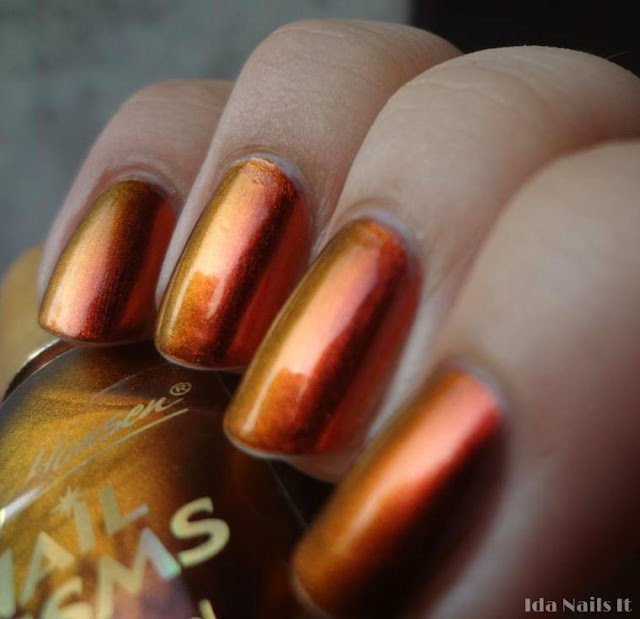 Sally Hansen Nail Prisms had some really great releases but this is by far my favorite one they have done. This is three coats by itself, I didn't want to layer it over another color and see how many coats it took to get to full opacity. It's not so easy to find now but if found on a blogsale or eBay, grab it! I have this too. Looks amazing on you! I wish they'd put out something like these again. So gorgeous. Looks great on you!